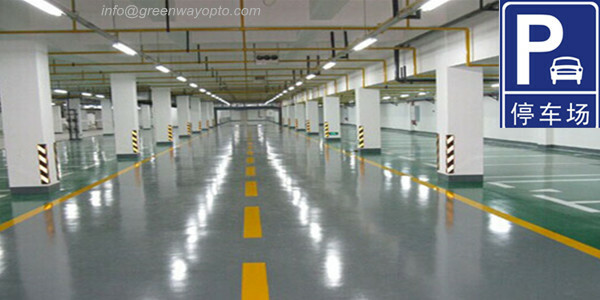 PIR Sensor LED T8 Tube Light apply in Underground Parking Lot. 2. The entrance to entrance area need to consider the transition of lighting, and the need to provide the appropriate level of intensity of illumination and vertical illuminance. Lighting should provide the right level of intensity of illumination and vertical illuminance. Through illumination to improve the underground space environment atmosphere, build open effect, reduce the closed space to take to person’s repressive and constraint, the methods include vertical plane on the appropriate lighting brightness, light tones, lighting, lighting of metope, ceiling lighting (open ceiling make various crisscrossed pipes exposed, if they hide in dark space lighting, often brings more uncertainty and unpredictability, causing people psychological anxiety), clear lighting sign or logo, etc.